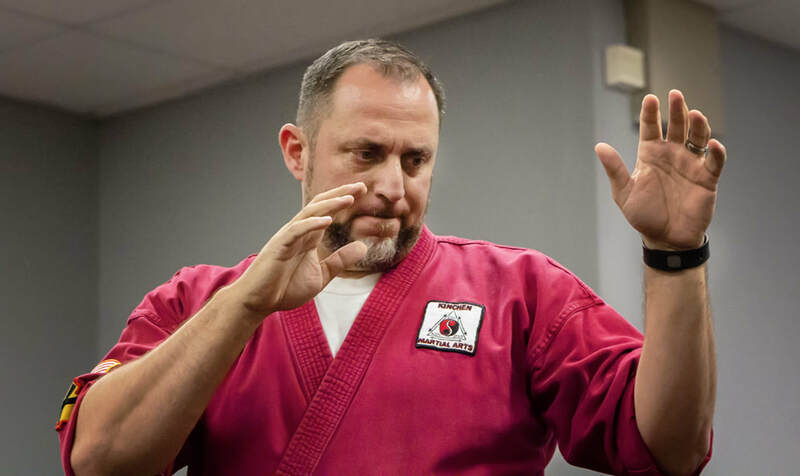 ​Kinchen Martial Arts offers a practical self-defense program for men, women, and teens. Students learn how to use the stronger parts of their bodies against the weaknesses of a potential attacker. ​Martial arts training provides a complete workout, involving every aspect of athleticism: balance, coordination, strength, endurance, and flexibility. Training is both aerobic and anaerobic. As the students gradually progress in rank, the exercises become more strenuous and complex. Martial Arts training is never boring! ​An essential part of self-defense is recognizing a bad situation for what it is. Our students learn how to recognize an unsafe situation, and what to do about it. They also develop a personal style of self-defense rooted within their own belief systems. ​Self-discipline isn’t just for kids. Our belt ranking system allows adult and young adult students to set short-term goals and then strive to meet those goals. Working toward goals in martial arts carries over into other areas of life: college, continuing education, family, hobbies, and careers. ​As students achieve higher rank, they are proud of their progress. They are shown respect by lower-ranking students and instructors. Martial Arts instills confidence because there’s really no way to fail. Studies have shown, martial artists have less anxiety, a greater sense of responsibility, are less likely to take risks, and are more socially intelligent. ​There’s nothing like pounding on a bag and yelling really loud at the end of a long day at work. Martial Arts is a safe outlet for frustrations at work, home, or during the commute. And ladies, bring your husbands in, too. We have terrific family rates!